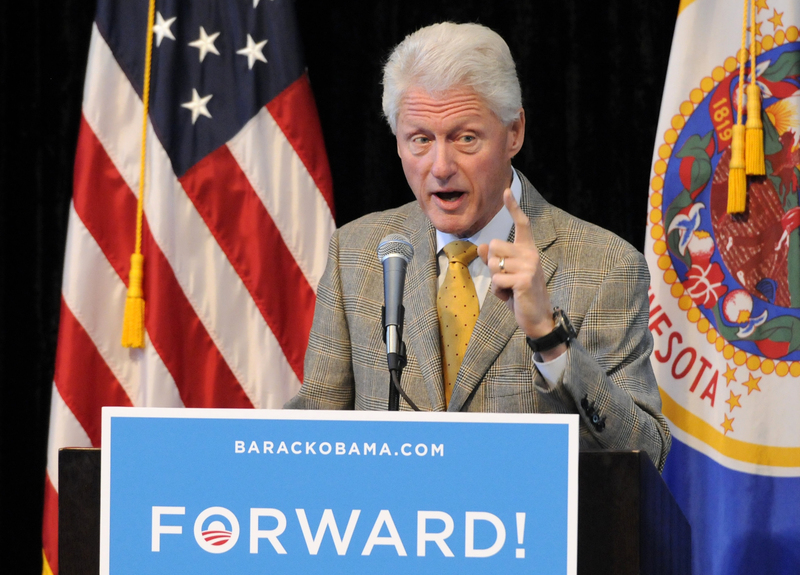 Bill Clinton: Obama's a good leader "without regard to race"
In a slap at former New Hampshire Gov. John Sununu, Bill Clinton said on Friday that President Obama "has been a good commander-in-chief without regard to race." Appearing in Lake Worth, Fla., the former president cited ex-Secretary of State Colin Powell's recent endorsement of Obama. That endorsement led Sununu, a leading surrogate for Mitt Romney, to suggest that the move was motivated by race. "Colin Powell said, 'I'm going to endorse the president because I think he's done a good job in a difficult, rapidly changing, not totally controllable world and because Gov. Romney has the same neocon advisors who gave President Bush the push to go into Iraq on bad intelligence,'" Clinton said. "That's what he said. What did they respond? They put Gov. Sununu out to respond and he said, 'What do you expect these two guys -- Colin Powell wants a black guy to be re-elected.'" After pausing while the crowd chanted "racist, racist," Clinton added: "Obama has been a good commander-in-chief without regard to race." Clinton has lavishly praised Obama during this campaign. But during Hillary Rodham Clinton's primary bid against Obama in 2008, the former president famously lashed out at Obama's campaign for "playing the race card on me." The comment came after Clinton had compared Obama's primary performance in South Carolina to the Rev. Jesse Jackson's earlier victories in the state, which in turn led the Illinois senator to respond: "Former President Clinton dismissed my victory in South Carolina as being similar to Jesse Jackson and he is suggesting that somehow I had something to do with it ... I have no idea what he meant."